When it comes to ways to lose weight, most of us tend to think in terms of “what” not “how,” meaning we frame weight loss in terms of what we should eat and shouldn’t eat instead of how we eat. While what we eat is extremely important to our general health and maintenance of a healthy weight, how we eat can be an incredibly influential factor in our ability to lose weight as well. It is very typical in our culture of fast food and hurried weekday lunches to eat too fast. Though it may be a time saver, it won’t save your waistline. It takes up to 20 minutes before the stomach can tell the brain that it is full, yet the average meal lasts only about 10 minutes. The unfortunate result is that we eat far more than we need, which puts us at risk for being overweight or obese. If slowing down can save 100 calories a day, that could add up to a pound of weight loss a month. That’s better than adding a pound a month. A scoop of mashed potatoes looks small on our over-sized dinner plates. Put your food on small, 9-inch plates and your serving sizes will be more accurate. This simple trick can convince your brain into thinking that you have “eaten enough,” saving you another couple hundred calories a day. Resolve to only eat from a plate. Eating from bags, shared dishes (like chip or popcorn bowls), or straight from the container hides how much we are really eating. Take the time to place all the food you eat on a plate to help regulate portion sizes. That’s the better way to eat. We have become used to “grazing and not eating meals”, not good. That’s a recipe for adding fat to your body. Small meals more frequently are better. It keeps you from getting hungry. Become a dessert gourmand. Eat only the finest, most expensive desserts you can find and afford. You will eat less and enjoy them more. The cookie and candy aisle in the grocery store is filled with sugary things that don’t really taste that good. If you need to feed your sweet tooth, find some $4 truffles and relish them (in moderation). Your ancestors, 2000 years ago, ate fruit for dessert, smart. When you eat, eat. Do not watch TV, read a newspaper, talk on the phone, or drive a car. Just eat. Pay attention to your food. Monitor your servings. Distraction will only lead to automatic eating. That said, sitting down to a meal with a friend or family member to chat with can be a good tool for slowing down, so don’t shy away from healthy lunch dates. Examine the number of calories you drink. You can usually cut out hundreds of calories a day by eliminating sodas, juices, sweetened coffee drinks, and alcohol. Keep a log of everything you drink and then add up the calories. You might be surprised by how many of your calories each day are liquid. We used to think that drinking juice was healthy and then we saw that it was loaded with calories. Low-calories diets generally are about 1200 or 1600 calories a day, so don’t drink your calories. Save your calories for solid food. Instead, try substituting with water. If you’re in the need for a little caffeine or flavor, try a cup of hot or iced tea. You might also want to consider skipping the diet sodas and drinks as well. While they have little to no calories, the sweet taste only makes your brain and body crave sugar more. Do yourself a favor and drink water instead. When you have cravings, first try to wait at least 5 minutes. If you are still craving the food, do the following: get a small plate, put a few bites of the craved item on the plate (no more than one serving – read the label!). Then put the package away, take your plate to the table, and eat your food without distraction. Ask yourself if it is worth it. Usually, a craving is for salt or sugar. You can satisfy that craving with healthy food like a hard boiled egg with a little salt. Trying to lose weight is an awesome task. You should cut out salt and sugar, but because that’s hard to do, cut back to almost nothing. Add a little sugar to some tea. When you try these tricks a couple of time you’ll realize how little you need to make that craving disappear. You may also try to find some healthier substitutions for certain cravings. You might be surprised how satisfying the sweetness of Medjool dates or eating a few grapes can help. website looking for the material you want. Gardner books in the U.K.My second e-book is available in the same stores. And on smashwords.com. get my second book for $1.99 (TL96R). 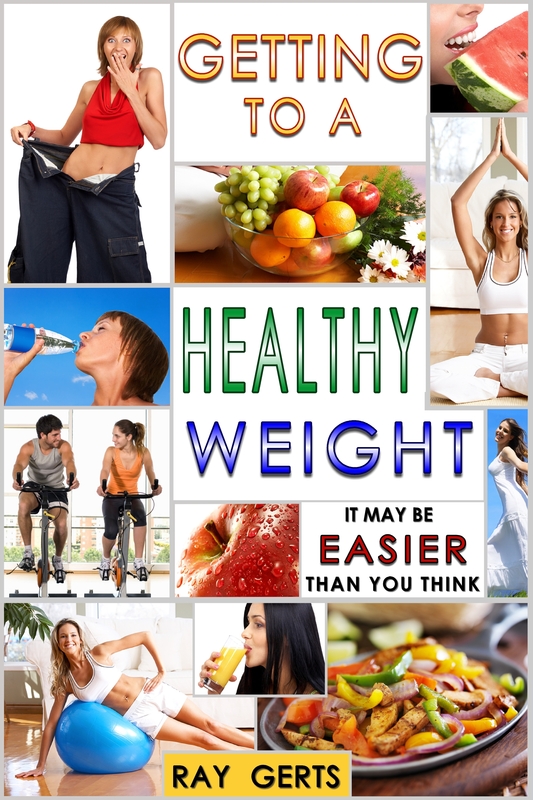 Just type in the search line “getting to a healthy weight”.